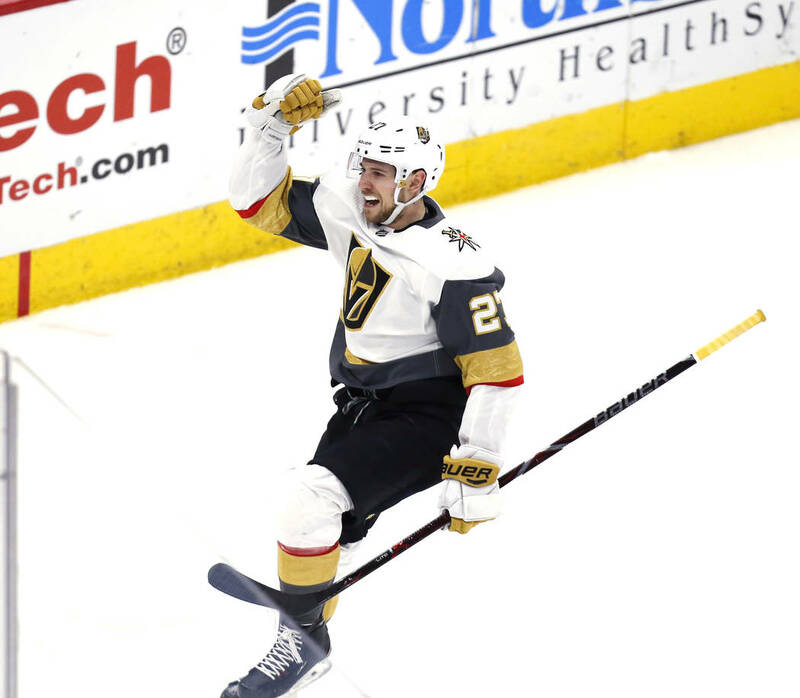 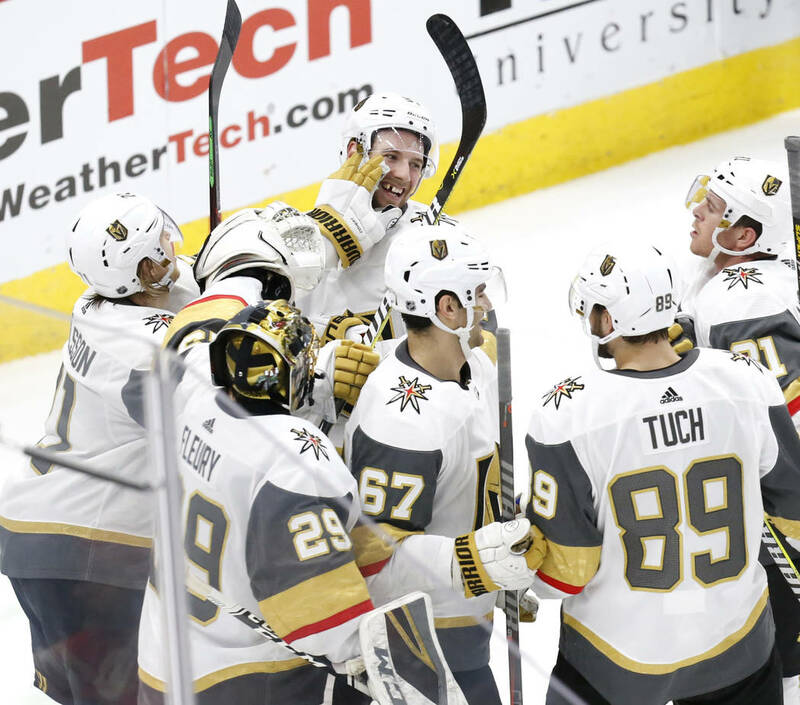 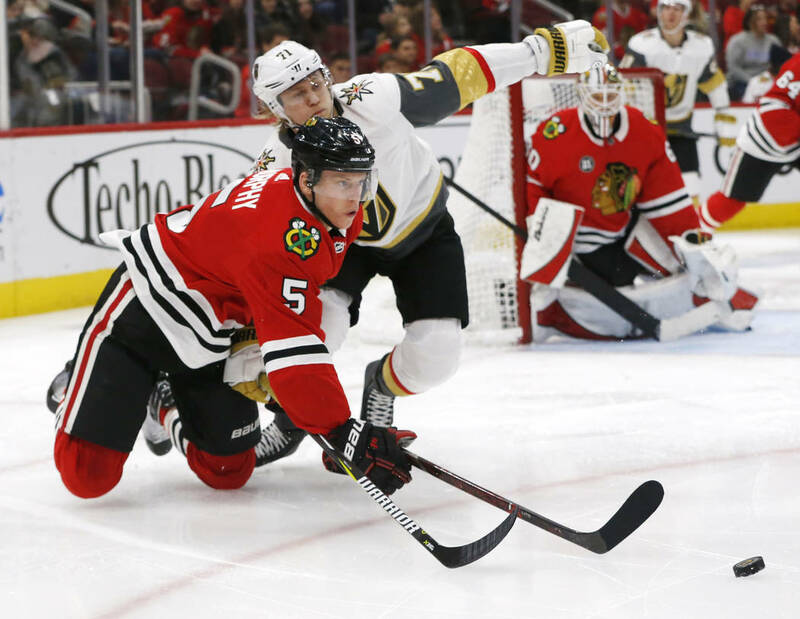 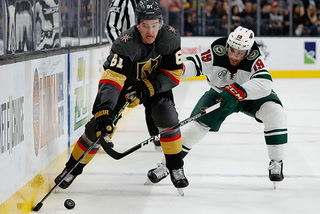 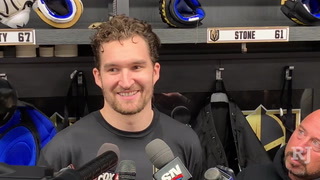 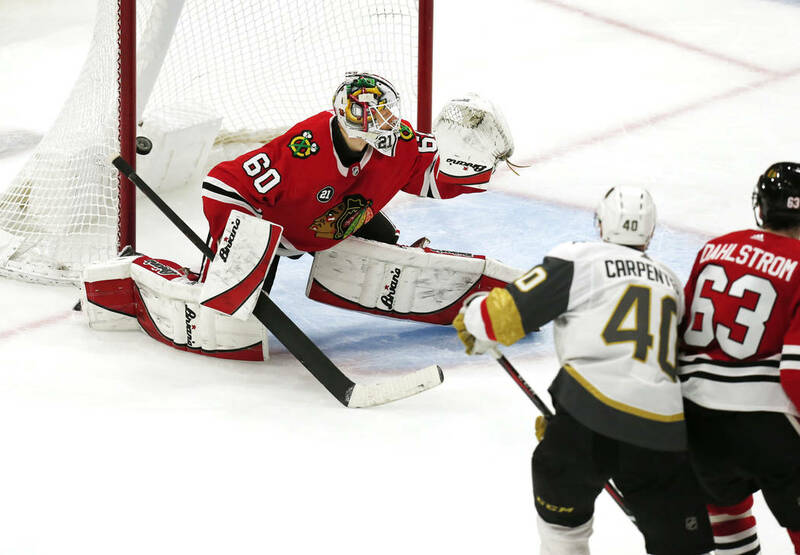 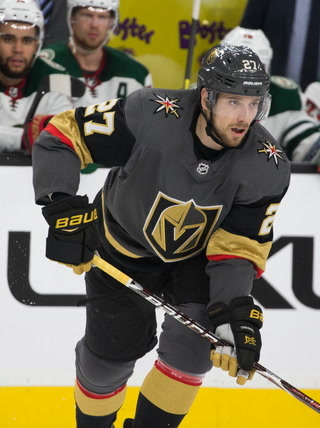 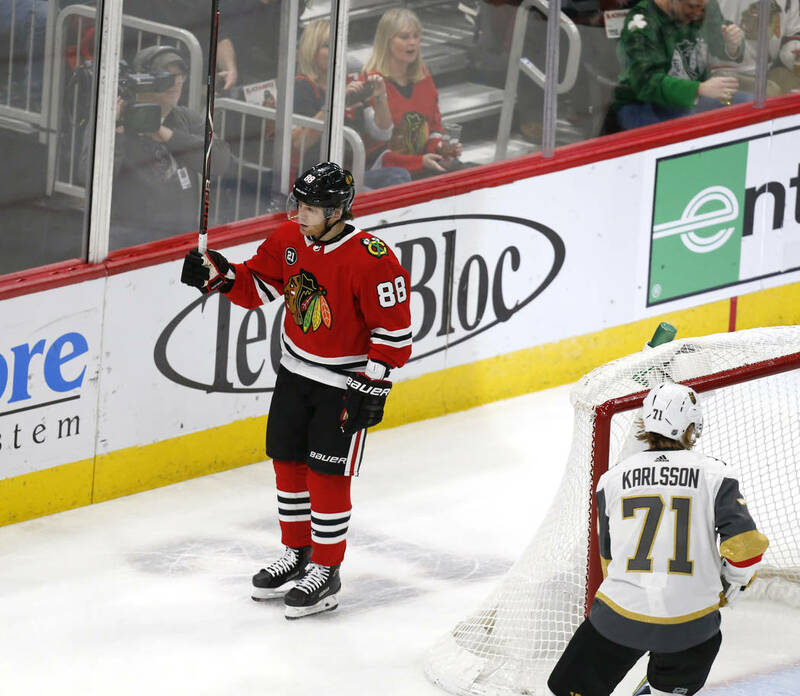 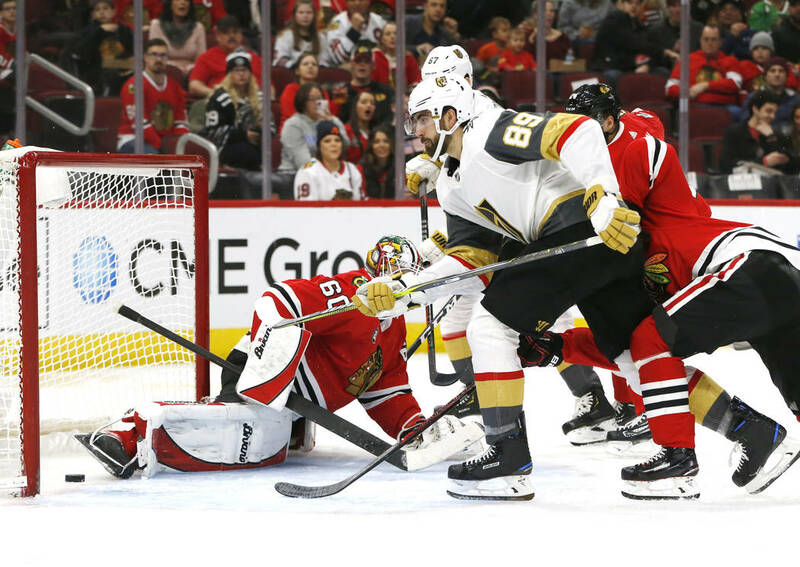 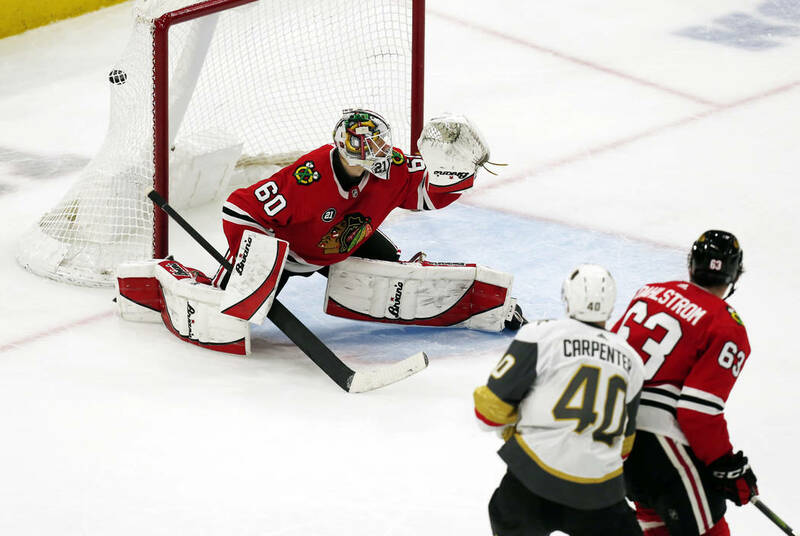 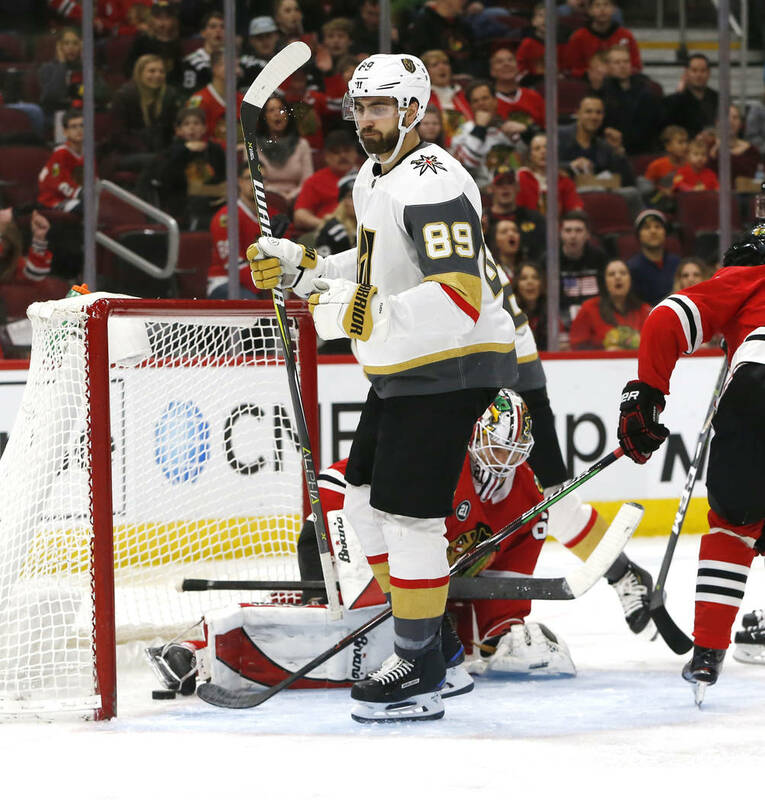 Shea Theodore scored in overtime after Paul Stastny tied the game with 4:04 remaining in the third period to give the Golden Knights a 4-3 victory over the Chicago Blackhawks on Saturday at United Center. 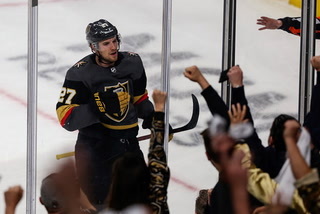 CHICAGO — Shea Theodore went a month and a half without a goal before Saturday. 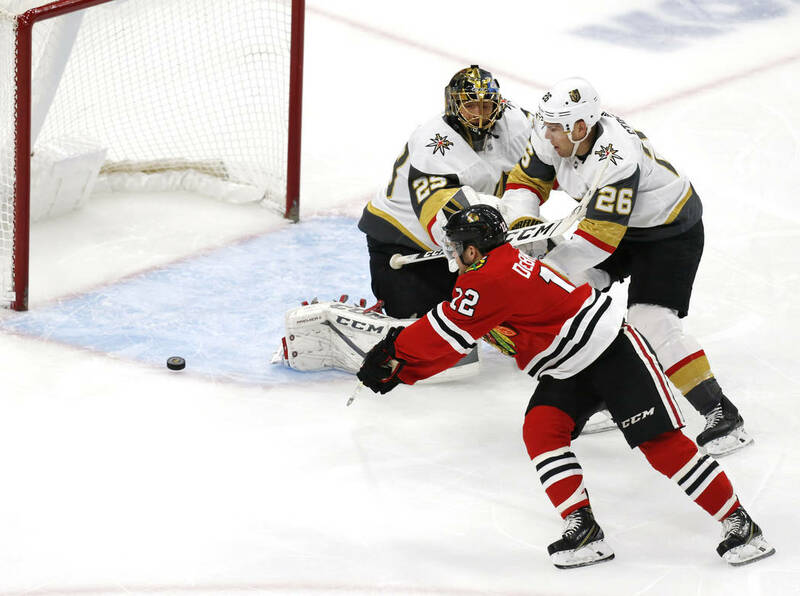 Technically, he still hasn’t put the puck in the net since the last time he was at United Center on Nov. 27. 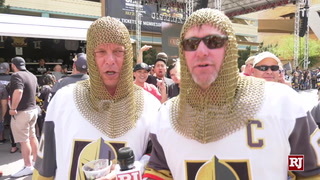 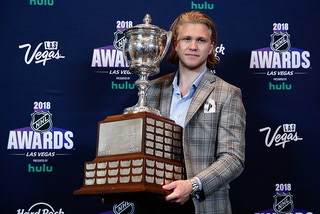 But the Golden Knights defenseman isn’t going to complain. 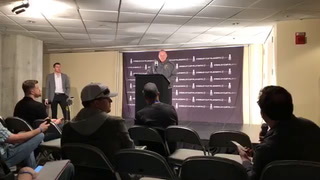 “I think it’s good to get a bounce like that,” he said. 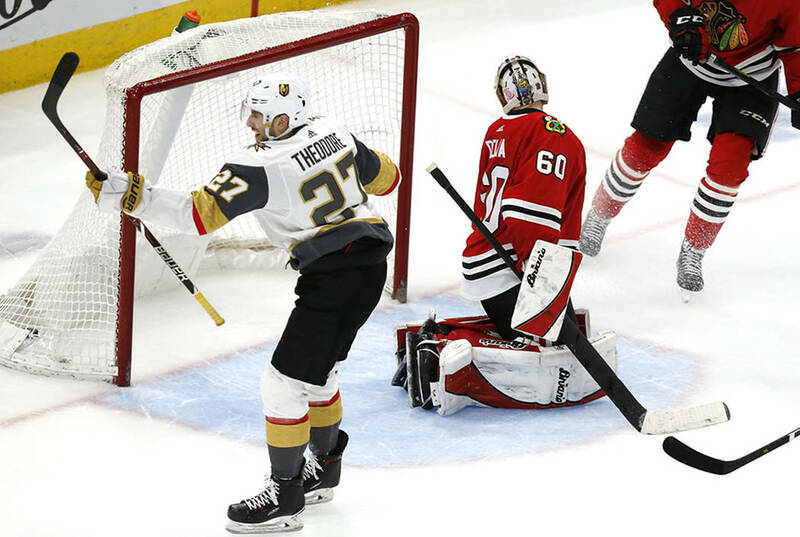 Theodore was credited with the winning goal 1:19 into overtime to cap a late rally and give the Knights a gutsy 4-3 victory over the Chicago Blackhawks. 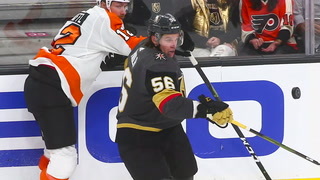 Paul Stastny tied the game 3-3 with 4:04 remaining in regulation after Pierre-Edouard Bellemare had the apparent tying goal waved off a little less than three minutes earlier. 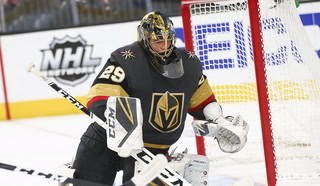 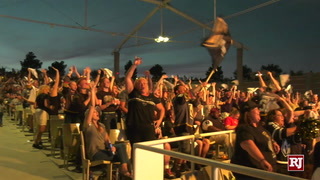 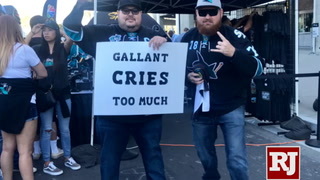 The Knights improved to 6-0 lifetime against Chicago and rebounded from a 3-2 loss to San Jose on Thursday that snapped their seven-game win streak. 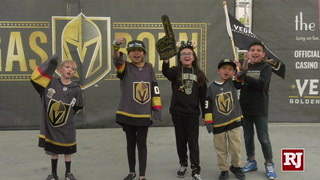 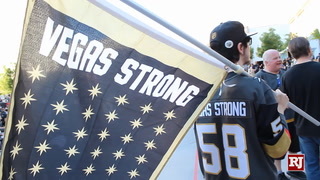 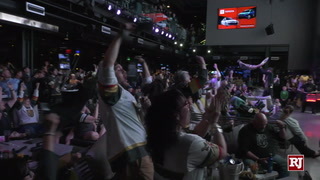 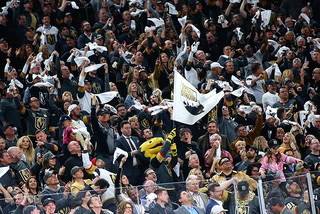 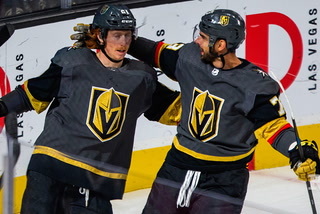 Trailing 3-2 entering the third period, the Knights made a strong push in the final 10 minutes and appeared to tie the game when Bellemare knocked in Tomas Nosek’s pass with 6:58 remaining. 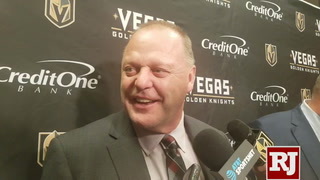 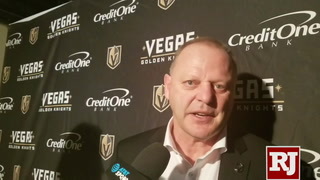 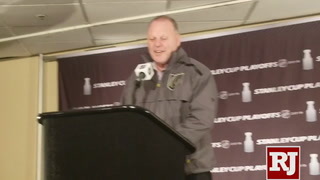 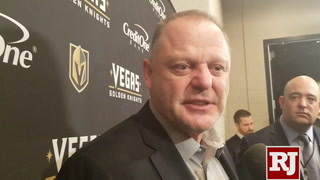 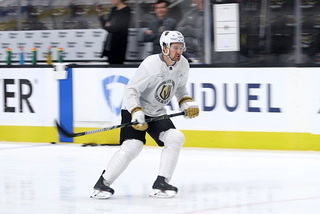 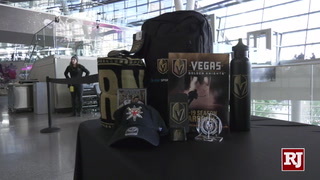 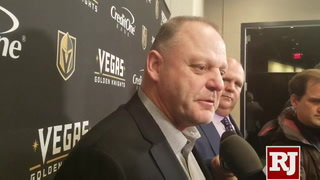 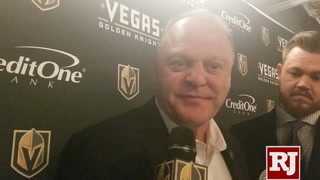 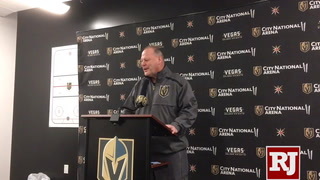 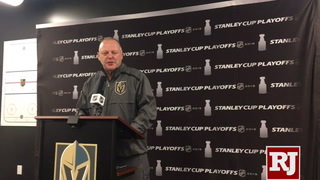 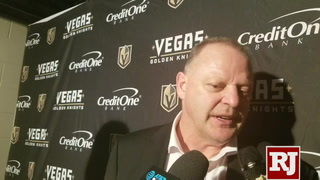 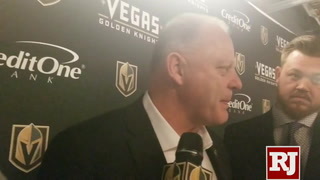 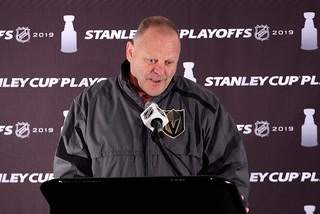 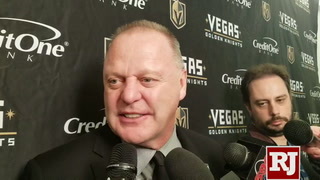 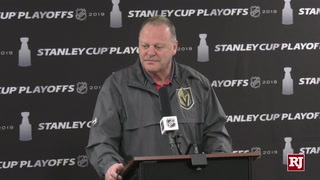 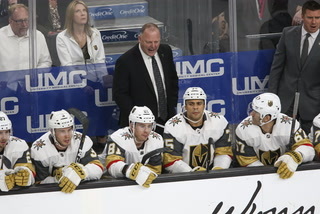 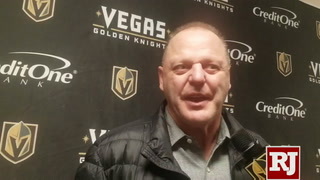 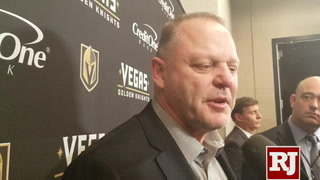 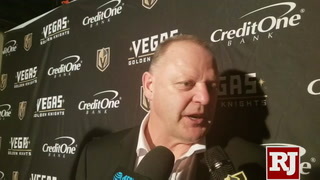 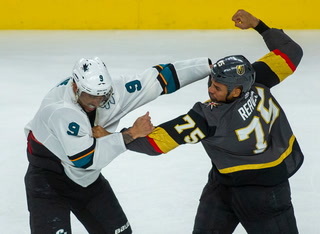 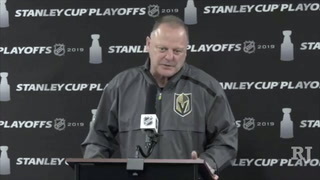 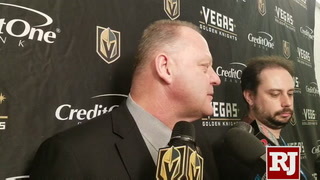 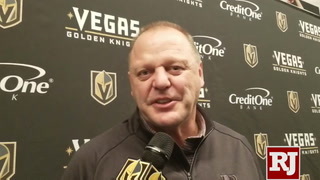 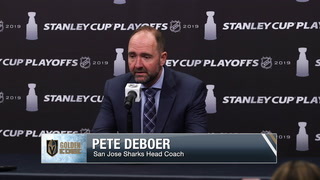 But the NHL Situation Room reviewed the goal and “determined that Pierre-Edouard Bellemare kicked the puck into the net,” which incensed Gallant and the players on the Knights’ bench. 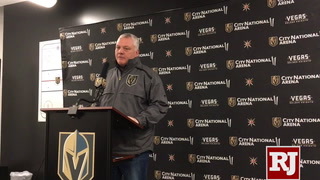 “How that gets taken back blows my mind,” Stastny said. 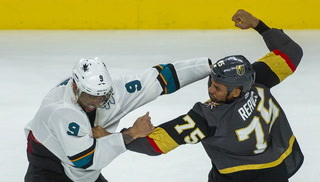 “He’s not kicking it. 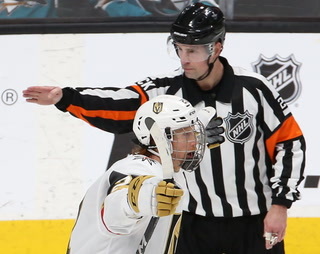 He’s stopping, making a reaction play. 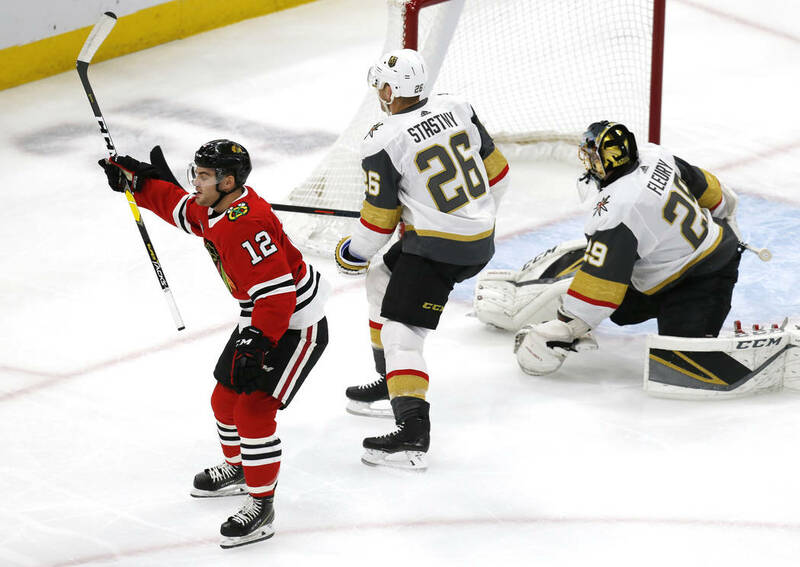 Stastny notched his sixth goal when he banged a rebound past Blackhawks goaltender Collin Delia after Max Pacioretty’s close-range shot went off the crossbar. 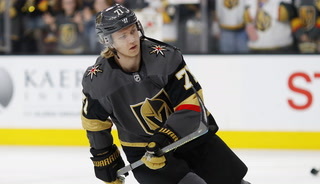 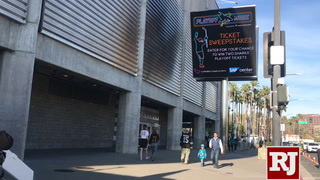 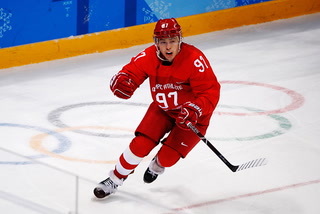 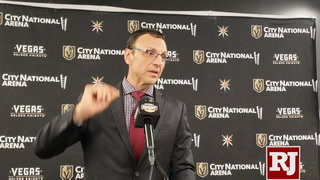 Theodore registered the winner when he received a pass from Brandon Pirri in the neutral zone and drove around Chicago defenseman Carl Dahlstrom. 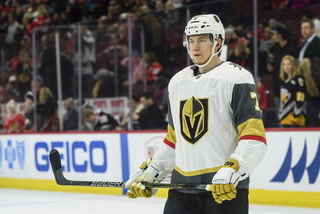 Dahlstrom knocked the puck off Theodore’s stick, but it slipped through Delia’s legs for Theodore’s fifth goal. 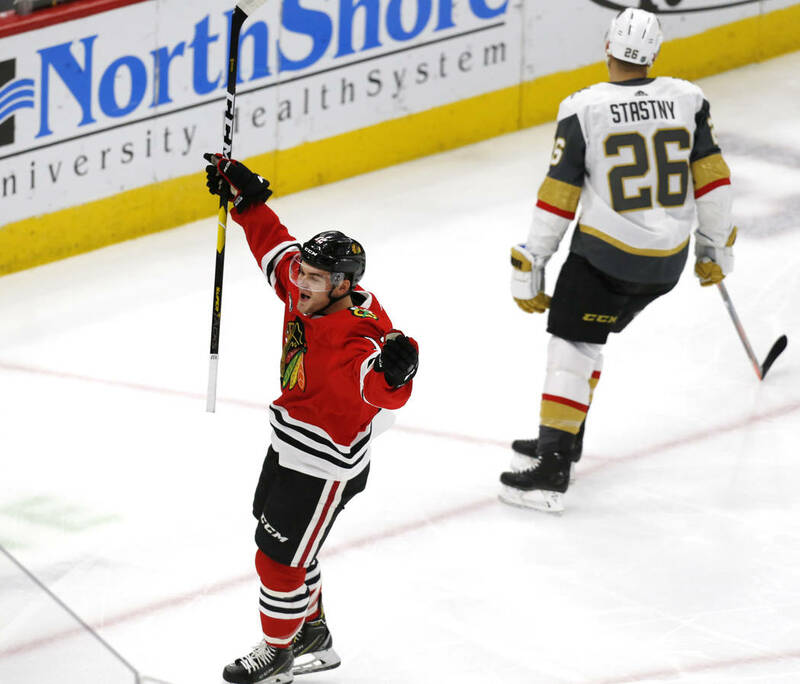 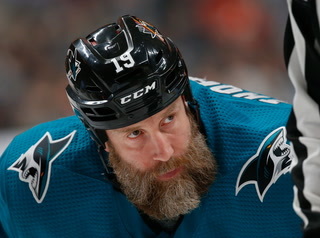 He had three goals and five points in the three games against the Blackhawks. 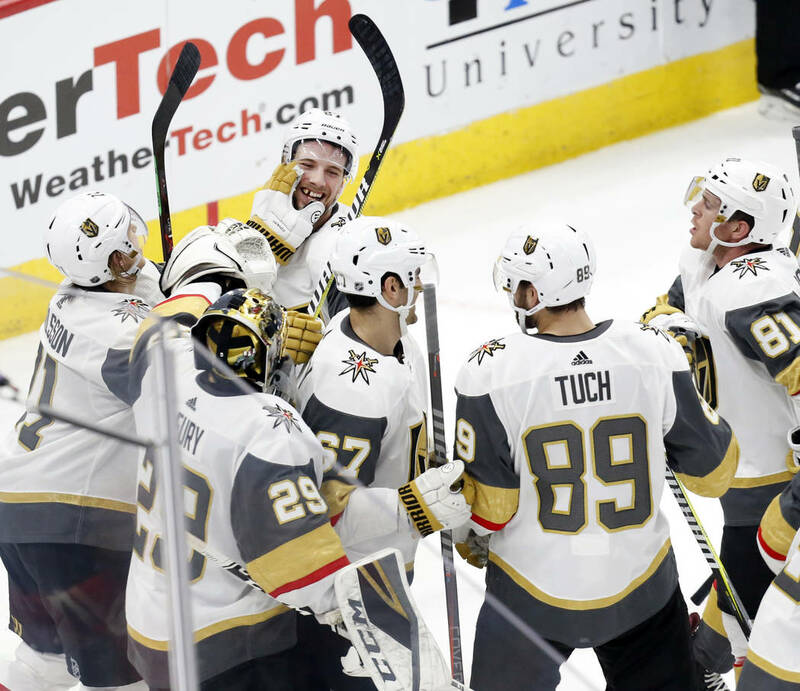 Alex Tuch added a goal and an assist to tie for the team lead with 15 goals and extend his points streak to a franchise-record nine games. 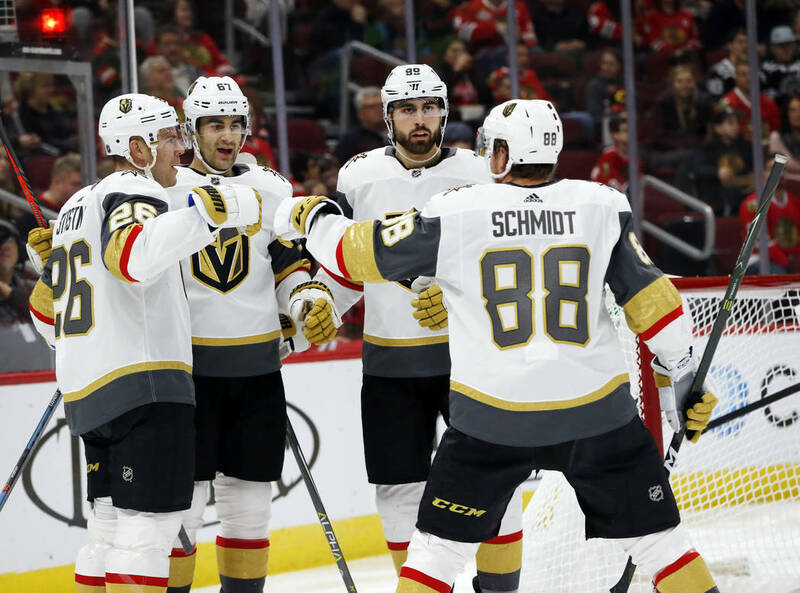 Max Pacioretty contributed two assists as he returned to the second line with Stastny and Tuch. 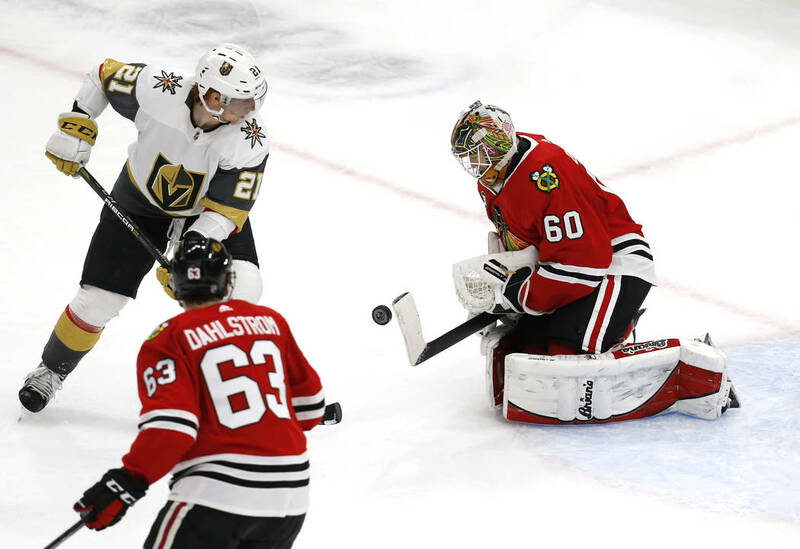 Ryan Carpenter scored with 53.3 seconds remaining in the second period to cut Chicago’s lead to 3-2 and give the Knights momentum heading into the third. 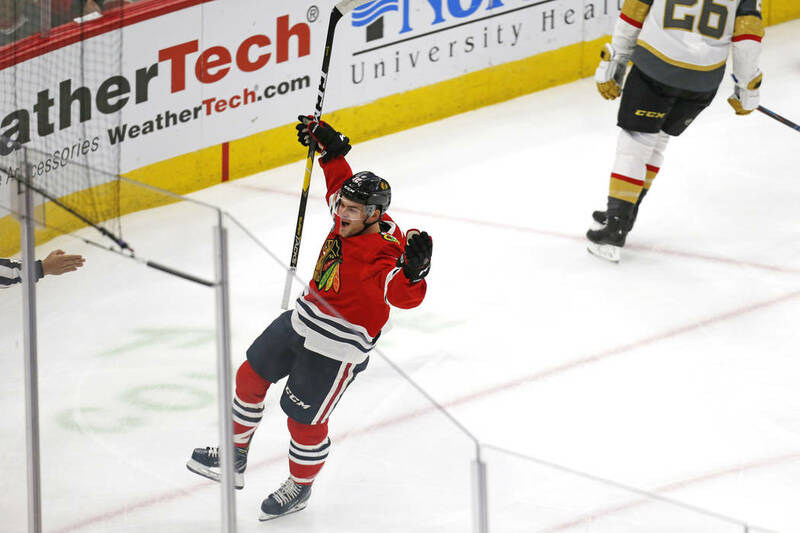 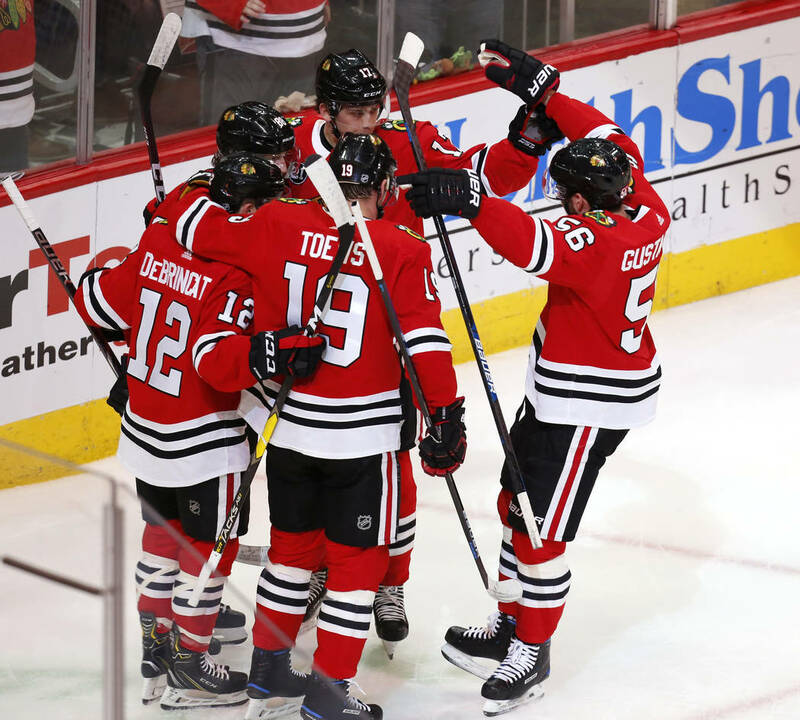 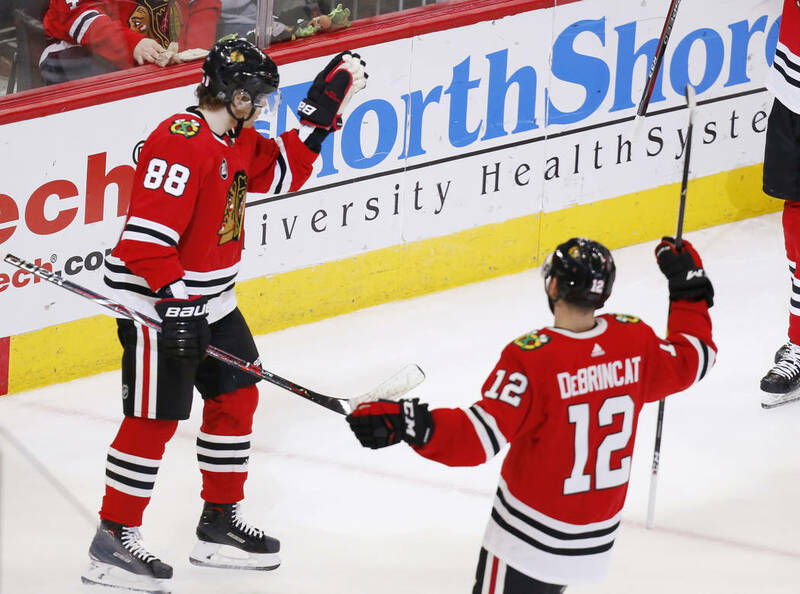 Alex DeBrincat scored twice for the Blackhawks, including a power-play goal at 7:22 of the second period when Jon Merrill was given a double-minor for high-sticking. 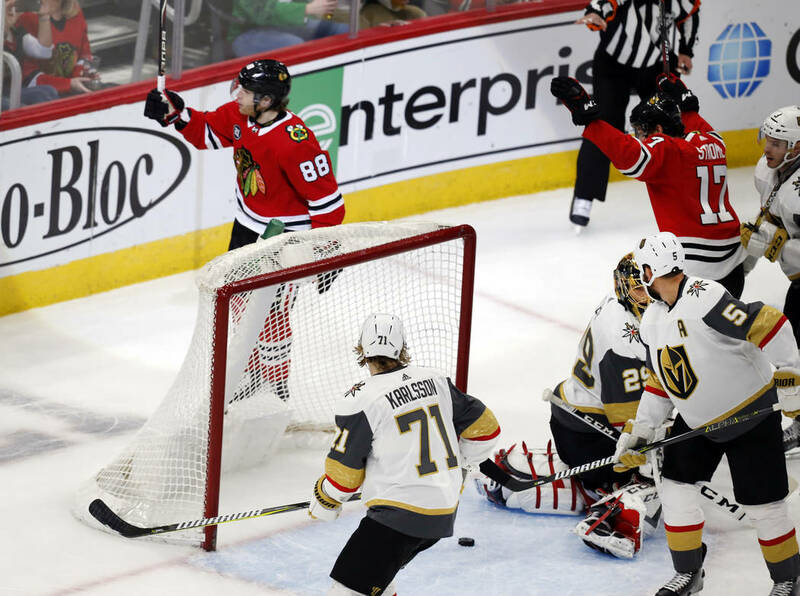 Patrick Kane also had a power-play goal in the first period, as Chicago went 2-for-4 with the man-advantage.